Our architectural builders understand that your home will be a product of your personality, your needs and your budget. From standard family homes to architectural homes, Penny Homes want to bring your ideas for your new home to life, giving you flexibility and freedom of choice. With our many years of experience and expertise in architectural homes, we have won numerous awards. Rest assured that as Registered Master Builders and architectural builders Penny Homes will make the process easy for you. We guide you through the design while capturing the most important characteristics of your site, your ideas and your budget. Our skilled team of Project Managers ensure your building experience is an easy one. With Penny Homes you have the best expertise and knowledge in the industry. Our step-by-step process guides you through the building process, creating architectural homes that are durable and stand the test of time. 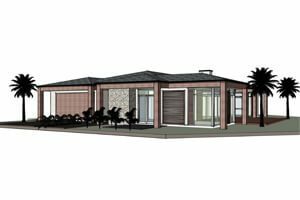 If you decide a custom design and build is not the project you are looking for, you can choose an existing set design from our range of Modern House Plans. Visual reassurance at every step. 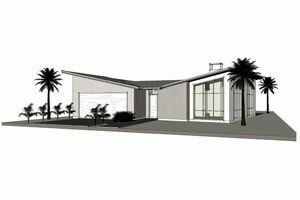 Our team of architectural designers work closely with you using the latest in Computer-Aided Design technology to produce design sketches, floor plans and elevations for your new home. See your plan come to life. We can make it easy for you to visualise your new home with the use of the latest interactive technology. This way you can make modifications early in the process.